Prof. Isaac Adewole, the Minister of Health, has commiserated with the family of Hauwa Liman, the International Committee of the Red Cross (ICRC) humanitarian worker murdered by Boko Haram. 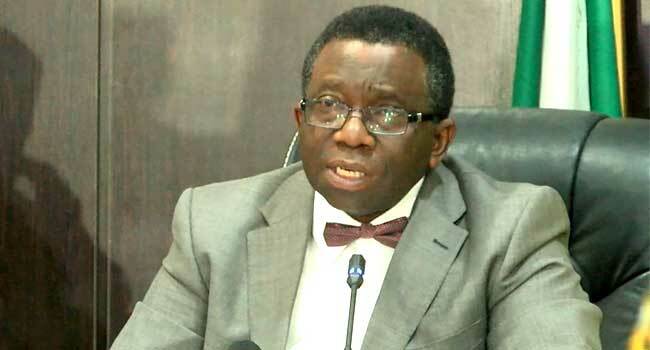 Professor Adewole, who described the murder as callous and unfortunate, said the health workers should not be a target in any conflict zone as they are recognised as humanitarian service providers. He prayed for the repose of her soul and called on Boko Haram to follow the rules of International engagement which respect the right of humanitarian workers in conflict zones. Dr. Jide Idris, the Lagos State Commissioner for Health, has tasked nurses in the State health sector on the need to embrace the core values of the nursing profession in the care of patients. Idris gave this charge today during the 2018 Nurses Assembly, a programme sponsored by the Lagos State Government to update nurses, midwives and educators in Lagos on professional guidelines and policies affecting the profession. He noted that nurses are integral part of the think-tank of the State government who contribute a lot to formulation and implementation of policies in the health sector. Idris who was represented by Dr. Funmilayo Shokunbi, the Director, Medical Administration, Training and Programmes in the Ministry of Health, implored nurses to continue to exude professionalism, discipline, integrity, humility, selflessness and great care in the discharge of noble duties. Earlier in her remarks, Mrs. Dorcas Shonibare, the Director of Nursing Services in the Lagos State Ministry of Health, stated that the Nurses Assembly is an annual event sponsored by the Ministry of Health to update nurses on current trends in the profession and serve as a platform for nurses to interact as professionals. She explained that the theme of this year’s assembly “Nursing Accountability in the 21st Century” as a follow up to last year’s theme “Professionalism: A Roadmap for Ethical Compliance in Nursing” is a starting point for major strategic planning for a new perspective on ethics of the profession. 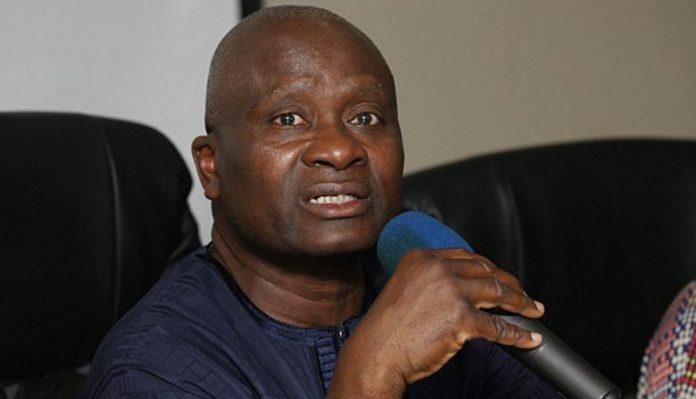 “Accountability is the acknowledgement and assumption of responsibility for actions, products, decisions and policies including the administration, governance and implementation within the scope of the role or employment position and encompassing the obligation to report, explain and be answerable for resulting consequence,” Shonibare said. She stated that the recent launch of 12 patients’ Bill of Right championed by the Consumers Protection Council (CPC) and the Federal Ministry of Health is a wakeup call to the Health Sector in Nigeria thus bringing to fore the need for nurses to be fully updated as ignorance is no excuse. “Patients are now empowered to demand for their rights and you must be ready to give explanation for your actions and intentions without having the erroneous belief that they are at your mercy,” she said. Shonibare while encouraging nurses to have an orientation of being accountable stated that the practice of nursing services in Lagos State is being monitored in public and private health facilities by the Lagos State Health Facilities Monitoring and Accreditation Agency (HEFAMAA). During her lecture on 21st Century Nurse Manager, Mrs. Helen Mbonu, the Group Director of Nursing Services Reddington Hospital, stated that a 21st century nurse manager must be a great communicator employing frequent, timely and problem-solving communication to ensure patient care is running smoothly. She added that nurses in the 21st century should know the rudiments of teamwork and the need to build effective teams, remain positive and be decisive, be technologically driven and should be conversant with the use of modern equipment in health service delivery. “A 21st Century Nurse Manager should be academically driven, have the right attitude, possess excellent customer service skills, be involved in policy making, understand finance and budget and be readily available and accessible,” Mbonu said. Pharm. Ahmed Ibrahim Yakasai, President of the Pharmaceutical Society of Nigeria (PSN), weekend, renewed his call for selfless service and inter-professional collaboration among healthcare professionals, even as he tasked his members to see pharmacy practice as service to mankind. The PSN President who made the call while commissioning the foundation laying of the Pharmacy Resource Centre (PRC) in River State, Yakasai, described it as a legacy project of the Rivers State Branch of PSN. He counselled the state branch to ensure that the centre is accessible to other professions and public for use, describing pharmacy practice as service to mankind. The PSN President also reiterated the need for pharmacists to continuously collaborate with other members of the healthcare profession as no one profession can effectively work alone for the benefit of the served, the patients. The PSN President further stressed on the need for all pharmacists to unite to ensure the growth of PSN in the state, particularly the speedy actualisation of the PRC project. He thanked the Pharmacists in Rivers State for the support shown him as the President of the state and for making the state branch so reputable such that it becomes a must visit for those aspiring to lead the national body. The PSN boss however appealed to colleagues to set aside tribal and religious sentiments in their choice of a leader. He counseled the pharmacists present to choose a leader with the fear of God and the interest of the people at heart. He pledged his willingness to be available and support the PSN even after his handover later in the year. Speaking at the occasion, Pharm. Adewale Oladigbolu, the Chairman of PSN Rivers state, described the successes achieved on the PRC project as a dream come true revealing his excitement at the growth of PSN over the past 26 years of his residence in the state. He however applauded the support of all past leaders and members of the PSN in the state who have been instrumental to the successful growth of the PSN till date. In his remark, Dr. U.N.O. Uwaga, a former Chairman of PSN in the state and former National President of PSN, lauded the project and stated his commitment towards the success of the building of the PRC. He also enjoined the PSN leadership in the state to device good strategy to continuously raise funds so as to ensure steady advancement of the project. In his address at the site just before performing the task of the day, the PSN President commended Pharmacists in Rivers State for their vibrancy and extolled the leadership prowess of the state Chairman, Pharm. Adewale Oladigbolu, MAW. He praised the initiative of the project and affirmed that it was in line with the visions of his administration to inspire the erection of legacy structures in the various branches of PSN as well as among her technical groups. He further urged pharmacists in the state to actively support the project so that it can be completed within the shortest possible time. On their part, the leadesrhip and members of the Pharmaceutical Association of Nigerian Students (PANS) of the Faculty of Pharmaceutical Sciences, University of Port Harcourt described Pharm. Yakasai as a phenomenal personality and a rare gem. They expressed great delight meeting with the PSN President and commended his laudable achievements. 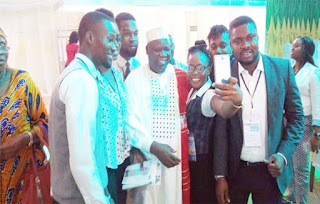 Speaking on behalf of PANS Uniport, Ms. Chinaza Rejoice Chigbo, the leader of the students delegation at the Pharmacy Week activities and Vice President of PANS Uniport, commended the hospitable disposition of the President, as he freely chatted and took pictures with them. Chigbo further praised his sterling leadership skills which have united and promoted the PSN and set the society on the trajectory of greater progress. 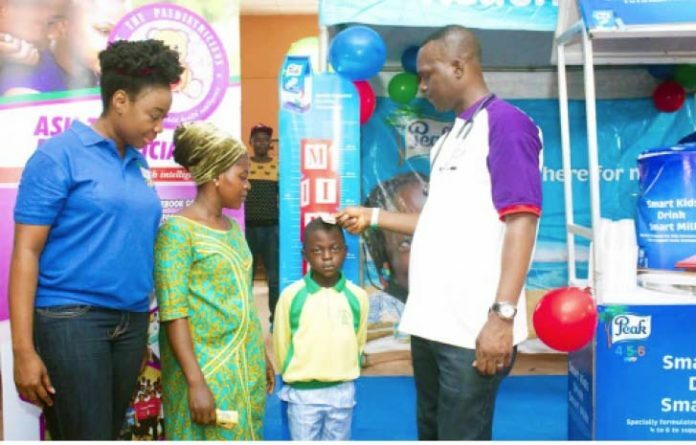 Over 5,000 children and their parents across Lagos, Kwara, Abuja and Abeokuta between September 29 and October 1, 2018 received nutrition assessment and support from FrieslandCampina WAMCO Nigeria PLC, one of the Nigeria’s leading dairy company in partnership with Ask the Paediatricians (ATP) Foundation. According to the Diary Company, the effort was in line with its community service to mark Nigeria’s 58th Independence celebration in conjunction with Ask the Paediatricians (ATP) Foundation. A statement signed by Ore Famurewa, Corporate Affairs Director, WAMCO Nigeria PLC, said that the social responsibility initiative supported by Peak 456 growing-up milk had a team of doctors led by Dr. Gbemisola Boyede of the ATP Foundation did nutrition assessments using growth charts. The social responsibility initiative milk also did sampling and gave health talks which had the participation of FrieslandCampina WAMCO’s specialised nutrition staff volunteers. Boyede, a consultant paediatrician at the Lagos University Teaching Hospital, Idiaraba Lagos started Ask the Pediatricians (ATP) Foundation as a group on Facebook on July 20, 2015. ATP now has four major areas of focus namely, Health Education Online Forum, Community Medical Outreaches, Health Seminars and Workshops, and Support for Orphans and Vulnerable Children. FrieslandCampina WAMCO is renowned for its mission to nourish Nigerians with quality dairy nutrition. According to Zatur Hassim, Head, Specialised Nutrition, “This is what drives our business and motivates our people. These outreaches were deployed not just to conduct health checks on children but also to teach parents how to identify nutrition deficiencies and mitigate their prevalence. “In honour of Nigeria’s 58th Independence celebration, we are once again demonstrating our corporate citizenship of the world through this programme that supports reduction in hunger, promotes well-being and partnerships for development, all of which demonstrate the United Nations sustainable development goals 1, 2 & 17,” said Hassim. Fidson Healthcare PLC has emerged winner of the 2018 Frost & Sullivan – Best Practice Award for Competitive Strategy Innovation and Leadership. The award ceremony which was held recently in Cape Town, South Africa, recognizes Fidson’s definitive competitive strategy, innovation and strong leadership in the area of Pharmaceutical Production and Distribution in Nigeria. The 2018 Frost & Sullivan Award which is a global award that has been in existence for the past fifteen years brought together top business leaders and innovators to celebrate their success. According to Frost & Sullivan, at the forefront of Fidson’s Innovation and competitive strategy is the N7.5 billion state-of-the-art manufacturing plant in Sango Ota, Ogun State, the largest manufacturing facility in West Africa, designed to double the company’s production capacity, enabling it to grow sales volume and meet the rising demand for drugs in Nigeria and broader West African region. 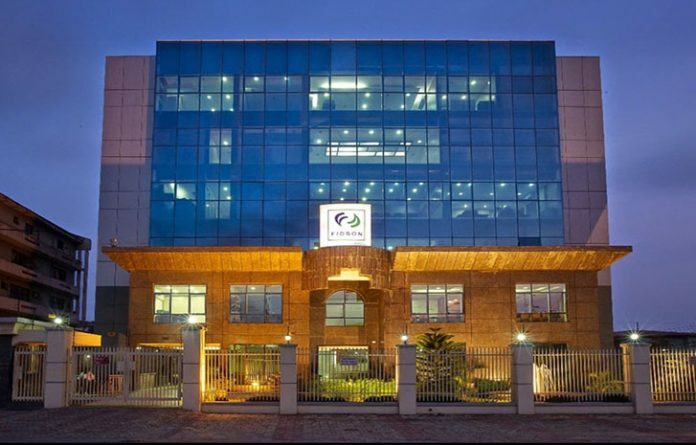 Beyond boosting the local economy and creating more than 300 jobs for skilled and unskilled Nigerians, the new Fidson plant is consolidating the company’s extensive manufacturing capabilities, increasing revenue growth, facilitating expansion into a new product category, and ultimately reinforcing the company’s firm position in the Nigerian pharmaceuticals market. 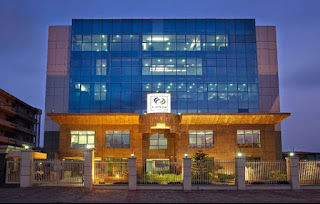 Frost & Sullivan noted in its statement that the significant competitive advantage of the new Fidson’s factory is already evident after only one full calendar year in operation; when the company experienced revenue growth from N7.6 billion ($21 million) in 2016 to N14 billion ($39 million) in 2017. Receiving the award at Cape Town, South Africa, Head, Business Development and Strategy, Mr Oshoke Ayebae appreciated Frost & Sullivan for recognizing Fidson’s contribution through its Innovation and Leadership in the Pharma industry, particularly in the area of quality pharmaceutical products, production and distribution in Nigeria. “Since inception in 1995, Fidson has relentlessly pursued its goal of becoming a leading player in the Nigerian pharmaceutical landscape and has built an innovative organizational framework that has helped gain dominance in the industry. We have built a structure of Innovation and Excellence around our system, process and people”, he said. He also noted that the Frost and Sullivan Competitive Strategy Innovation and Leadership Awards is a credible indication that the company is taking steps in the right direction. “As a company, we have left no stone unturned in ensuring that our operations are congruent with the best practice globally, and have recorded several remarkable feats, from one milestone to another. We, therefore, believe that this award will go a long way to boost our corporate reputation and also validate our commitment to deliver excellent quality healthcare solutions to Nigerians”. The new factory, which is compliant with the World Health Organization (WHO) and is on course to receive WHO certification —satisfying the African and global pharmaceuticals markets’ requirement for compliance and regulation. The factory doubled the company’s factory-based revenue generation from 20 per cent in 2016 to above 40 per cent in 2017 – primarily due to an increase in production volumes and the introduction of new product lines. The United Kingdom through its national public health institute, Public Health England(PHE) and the Nigeria Centre for Disease Control(NCDC) have signed a Memorandum of Understanding (MOU) Tuesday, to strengthen health security in Nigeria. The IHR strengthening programme in Nigeria is part of a £16 million project funded by the UK Department of Health, to support the capacities of national public health institutes in five countries. In Nigeria, this project will focus on the key pillars within the mandate of NCDC, including disease surveillance, emergency preparedness and response, public health laboratory services as well as workforce development. At the signing event in Abuja, the IHR strengthening programme was formally launched by the British High Commissioner to Nigeria, Ambassador Paul Arkwright. In his remarks, Ambassador Arkwright emphasised the need for strong collaboration between national public health institutes in ensuring global health security. “The United Kingdom recognizes that we must work closely with other countries in our efforts to build strong and resilient health systems globally. The partnership between PHE and NCDC would contribute to ensuring the world is much safer and less vulnerable from the threat of infectious diseases”. Duncan Selbie, Chief Executive of PHE, added that the recent cases of monkey pox in the United Kingdom highlighted the ease of movement of infectious diseases and reinforced the need to strengthen national public health institutes globally. In his address, Dr. Chikwe Ihekweazu, NCDC CEO, stated that the implementation of the IHR strengthening programme in Nigeria will be coordinated by NCDC. 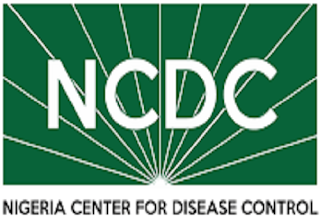 The NCDC will work with PHE to provide dedicated staff time and adoption of a multi-sectoral collaboration with the Federal Ministry of Health, Federal Ministry of Environment, and Federal Ministry of Agriculture and Rural Development; other relevant ministries, departments and agencies (MDAs); as well as partner organisations. “We are grateful for this opportunity which formalises and strengthens the existing relationship between NCDC and PHE. We look forward to building on this co-operation, for national and global health security” said Dr. Ihekweazu. Since the program began in 2017, PHE has supported NCDC in the development of its National Action Plan for Health Security (NAPHS), training of staff. from the National Reference Laboratory and the network of public health laboratories on enteric pathogen testing, development and strengthening of protocols for NCDC’s incident management system and several other project areas. Not a few keen observers of the health sector are worried that Nigeria is home to millions of those who survived female genital mutilation (FGM). More worrisome is the high level of ignorance concerning the practice of FGM. Nigeria is among four countries where two thirds of all women who have undergone FGM/C live; the other three countries are Egypt, Ethiopia, and Sudan. Most recent estimates from UNFPA-UNICEF Joint Programme On FGM/C Abandonment: Accelerating Change Phase II report from 2014 to 2017 show that Nigeria has zero to 28 per cent prevalence along with Yemen. The World Health Organisation (WHO) reports that Female genital mutilation include all procedures which involve partial or total removal of the external female genitalia or injury to the female genital organs, whether for cultural or any other non-therapeutic reasons. The world health body further classifies FGM into four major types, namely; Type I (Clitoridectomy), Type II (Excision), Type III (Infibulation) and Type IV. The United Nations (UN) health body in its 2018 reported that young girls between zero and 15 years even women are subjected to female genital mutilation in worldwide. Of the 200 million girls and women globally living with the consequences of FGM, 44 million are aged less than 15 years, the report further said. According to the report, three million girls are at risk of the practice every year. In 2016, UNICEF estimated that at least 200 million women and girls in 30 countries have been subjected to FGM. While earlier focus in Nigeria has generally been on three major types of FGM/C practiced -Type I, Type II, and Type III – recent evidence show s that different forms of Type IV are as prevalent as the other types, especially in the northern regions, where little attention has been paid over the years. The procedures for FGM can take place anytime from a few days after a child’s birth to a few days after a woman’s death. Although FGM/C is known to be widespread in Nigeria and is an important issue in international discourse, nationally representative data on its prevalence in Nigeria is comparatively rare. Speaking during two-day review meeting with media – radio – partners on ending FGM in Nigeria which was organised by National Orientation Agency (NOA), Oyo State with support from UNICEF, Benjamin Mbakwem, FGM/C Consultant for Ebonyi & Imo State, UNICEF Enugu Field Office, said it is an out-dated practice and tradition that threatening the rights of girls and women to development, protection and ultimately survival. This is an unbridled contravention of the international Child Rights Act adopted by Nigeria in 2003 to domesticate the convention on the Rights of the child. Despite the fact that some states have passed it into law, it is still a daunting task fighting FGM/C in the Southwest, Mbakwem said. According to WHO, the practice of FGM enables the victims to be automatically open to various risks which may be immediate, long term, psychological, sexual functioning, or obstetric. The immediate risks the victims are exposed to include: excessive bleeding, pain, shock, genital tissue swelling, infections, wound healing problems, as well as death. The victims are still exposed to long term risks which may include: genital tissue damage, vaginal discharge and itching, menstrual problems, chronic genital infections, reproductive tract infections, urinary tract infections, keloids and cyst. These victims are not exempted from the risks in childbirth which may include: prolonged labour, post-partum haemorrhage, still birth and early neonatal death, caesarean section, extended maternal stay, episiotomy, etc. UNJP On FGM Elimination: Alignment with SDGs, UNFPA and UNICEF’s Strategic Plan Outcome Areas. UNFPA/UNICEF global target and call to eliminate FGM/C by 2030, an understanding of prevalence, trends, and legal frameworks in Nigeria is a critical first step in designing policy and programme interventions. The Joint Programme will focus its interventions in Phase III on the 16 countries listed above (Slide 5), as a way to maximise resources and bring the international community closer to achieving SDG Target 5.3. In Nigeria the intervention will also continue in the five States (Ekiti, Ebonyi, Imo, Oyo and Osun), while further studies will e conducted to ascertain the emergency of new FGM Hotspot States in Nigeria. UNFPA/UNICEF will discuss government on the best way to conduct the intervention at the community level to avoid duplication. The National Agency for Food and Drug Administration and Control, NAFDAC, has designed a set of guidelines aimed at increasing cosmetics production in the country. The guidelines include: Guidelines for Micro or Kitchen scale Cosmetics producers and the Guidelines for Medium and Large scale Cosmetics producers. Prof. Christianah Adeyeye, NAFDAC Director-General, while announcing this, explained that the scaled down policies will drive growth in cosmetics Micro, Small and Medium Enterprise sectors in line with ease of doing business. Speaking at a stakeholders’ meeting with all chemical marketers, distributors and veterinary products tagged: A Date with the DG, which held in Lagos, Prof. Adeyeye said; “The difference in the two documents is that the Micro is an abridged form of the Medium and Large scale cosmetics guidelines. “The number of documents, staff strength and room space was scaled down for the micro and likewise, the number of products they can manufacture. “The boldest move made so far by the Agency is consent for use of personal kitchens to manufacture certain classes of cosmetics products under micro scale. Albeit, may I state clearly that kitchens shared by families will not be allowed neither will individual kitchens that are kept untidy. “Still in the spirit of ease of doing business, the Agency has put in place processes and procedures for companies with similar products and limited resources to use common facilities provided their products are similar. “The quality of products circulating within our jurisdiction is more of a focus and we are focusing more on post-marketing surveillance (pms). We will be increasing our vigilance activities and spot checks to ensure consistent product quality. We have as a result, developed relevant guidelines and documents to enhance post-marketing surveillance activities in the country. “In line with the Ease of Doing Business, the Agency created the Small Business Support Desk (SBSD) whose function is to facilitate registration processes for micro and small business operators through engagements such as MSME Clinics, Exhibitions, NAFDAC Product Registration Outreach, NaPRO. Similarly, the agency pledged to regulate multiple registrations, imposed on the marketers by sister agencies for producers and distributors of cosmetics, agrochemicals and veterinary products. The agencies are the National Environmental Standards and Regulations Enforcement Agency (NESREA); Standards Organisation of Nigeria (SON) and the Consumer Protection Council (CPC). Commenting on this, Prof. Adeyeye said, she has commenced discussions with the Director General of related agencies on how to bring an end to the issue of multiple product registrations, which is unpleasant to stakeholders. The DG who was responding to the request of stakeholders in removing several registrations of a product, explained that this is not in favour of ease of doing business policy in Nigeria, as it is hitting hard on marketers. She said;”We are working on it right now, as we are already talking with the Director General of SON, CPC, and NESREA. We have to come to an agreement, as it is the stakeholders that are at the losing end, because of many regulations and fees imposed on them. We are also talking about it at the vice presidency level, in terms of ease of doing business, and creating an environment, conducive for businesses”. 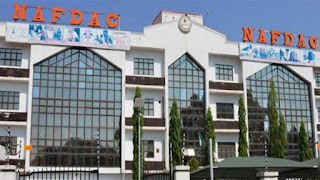 The NAFDAC boss further pledged to look into the issue of police harassment on agrochemicals dealers, as the agrochemicals distributors complained bitterly about unnecessary threats and distraction of their members by the Police, as they go about their legal businesses in the society. Prof. Adeyeye also noted that NAFDAC has scaled down some of her processes for the micro scale cosmetics manufacturers without compromising standards and put in place policies that will drive growth in cosmetics MSME sectors in line with ease of doing business. She however stressed the decision of the agency to allow micro entrepreneurs in the cosmetics industry to use their personal kitchens to produce certain products, but with a caveat that untidy and shared kitchens will not be permitted for use. She said; “The boldest move made so far by the Agency is consent for use of personal kitchens to manufacture certain classes of cosmetics products under micro scale. Albeit, may I state clearly that kitchens shared by families will not be allowed neither will individual kitchens that are kept untidy”. While appealing to the stakeholders to adhere to the rules and regulations of NAFDAC during product registration, she highlighted the generally observed lapses to include: untimely renewals of listing certificates, incomplete documentations , for example, inadequate stock cards & utilization records, safety data sheets without chemical compositions, illegible attachments to the portal, noncompliance to good warehousing practice, etc. On minimisation of pesticides residues on exported agricultural produce, she said the agency is setting up policies in terms of exportation of agro products, which will ensure that exporters bring their products to NAFDAC first for testing, in order to save the nation from further national embarrassment due to products containing high pesticides residues. Mr. Mamud Talid, representative of Pest Control Association of Nigeria, iurged the NAFDAC DG to look into the formation of Pesticide Bill as it is done in other climes, as well as pleaded with the agency to make the intended increase in tariff reasonable enough to their level. Mr. John Nwabueze, who spoke on behalf of Cosmetics Manufacturers Association of Nigeria, identified the need for NAFDAC to reduce faking of cosmetics in the country, as well as scale up penalty for fakers. With a contraceptive prevalence rate for modern methods of 10 per cent, there is big concern among experts that Nigeria is among those with poor contraceptive indices despite the significant investments made over the last decade. 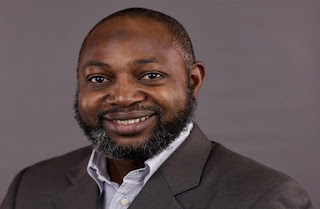 Expressing worry, Dr. Farouk Jega, Country Director, Pathfinder International in a statement to mark this year’s World Contraception Day said, Nigeria’s teeming population provides great potential of developing industrious youths that would guarantee the country’s development. However, Dr. Jega stressed that this depends on largely on increasing investment in youths’ education, skill empowerment, health, especially in the area of reproductive health, among others. The Pathfinder International boss said, “With a population nearing 200 million, about a quarter of who are young people, Nigeria has a good opportunity of harnessing the so-called demographic dividend by turning the ‘youth bulge’ into a productive segment contributing meaningfully to economic growth and development. “But this demographic dividend can only be achieved if the necessary investments are made in the young population – investments in their education, skills development and health care, including access to full and voluntary family planning. Bemoaning the situation, the Pathfinder International CEO said, Nigeria recently committed to significantly increase funding for contraceptive commodities at the London FP2020 Summit. Despite this commitment, he decried the existence of funding gaps, noting that most states in the country have yet to prioritise family planning, and few have made budgetary provisions for this important service. “Stock outs of key commodities are beginning to resurface in many health centers, further compounding an unmet need of women for contraceptive services, which is currently at 21 per cent. It would be recalled that the latest edition of Goalkeepers, a Bill and Melinda Gates Foundation annual publication on the United Nations’ Sustainable Development Goals(SDGs) stressed on the need to track progress towards achieving SDGs. The publication drew attention to the stark reality that unless something is done urgently, Nigeria and the Democratic Republic of Congo will be house to 40 per cent of the world’s poorest people by 2050. Dr. Jega further noted that the National Youth Policy is long overdue for revision to address the reproductive health needs of adolescents and young people in the country. He said, “Empowering our youthful population is an urgent necessity; failure to make the necessary investments in this restless segment of the population portends serious consequences, some of which may have already started manifesting in increased levels of insecurity and violent crimes across the country. However, he identified recent positive developments, including, the task sharing policy of 2014 has enabled the training of many health care workers at the primary health care level to provide key services they were not hitherto providing, including contraceptive services. Many State Ministries of Health have developed costed implementation plans for family planning, and a few have identified funding for implementation of such plans, he said. But, the Country Director stressed that obstacles to access still exist, adding; “Apart from stock out of commodities, provider bias is another reason why women (especially young women) don’t have access to a full range of family planning options. He recommended that such erroneous belief should be addressed through constant retraining of health workers. But, Dr. Jega lamented that the demographic window of opportunity is, unfortunately, not going to last forever, insisting; “Now is the time to start making those strategic investments in young people. “As we enter into another election season, it is imperative that we make the connection between our burgeoning population that largely lacks access to opportunities, and the increased level of poverty and insecurity bedeviling our country. The World Contraception Day takes place on September 26 every year. Since 1957, Pathfinder has partnered with local governments, communities, and health systems to remove barriers to critical sexual and reproductive health services. Across 19 countries, we expand access to contraception, promote healthy pregnancies, save women’s lives, and stop the spread of new HIV infections, wherever the need is most urgent. Their work ensures millions of women, men, and young people are able to choose their own paths forward. Pharmacists under the auspices of the Pharmaceutical Society of Nigeria (PSN) have condemned disharmony and rivalry in the Nigerian healthcare sector, linking the development with the demand for the establishment of the office of Chief Medical Adviser “Surgeon General” to the president and creation of a national healthcare commission. Pharm. 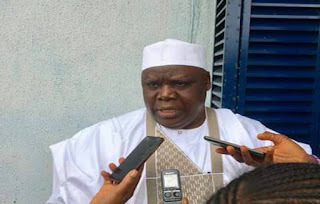 Ahmed Yakasai, President, PSN who spoke for the body enumerated other reasons which causes rivalry, including, Matters arising from Teaching Hospital Act and opposition to appointment of other health professionals as directors in Federal Health Institutions. The rest, he said are, establishment of postgraduate colleges for other health professionals, and the obvious bias against health professionals other than doctors especially in the reflected areas. Pharm. Yakasai, who presented a paper recently, at the annual scientific conference and exposition of the Nigerian Association of Pharmacists and Pharmaceutical Scientists in the Americas (NAPPSA) titled: “Synergy among Healthcare Practitioners: Advocacy to Respective Agencies for Collaborative Practice in Nigeria”, stressed on synergy in a successful healthcare delivery system. 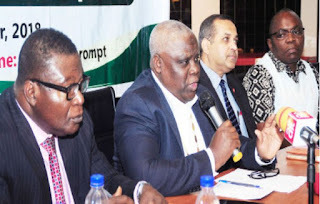 Insisting on the need for collaboration at the event which held weekend, Pharm Yakasai said; “Synergy among healthcare practitioners is a must and not an option in achieving optimum safe quality care for the patients. When healthcare practitioners with different complimentary skills cooperate, come together and work hand in hand in the interest of the patients they always achieve better results for the patients, he added. “The outcomes achieved due to synergy among the healthcare practitioners are far better than when each healthcare practitioner works in isolation. That is synergy. Even drugs work better when they work synergistically which one drug increases the other’s effectiveness. Comparing recent development in the healthcare industry to what obtains in the past, the PSN boss said there is an obvious change in healthcare delivery nowadays due to influx of knowledge on the parts of patients and practitioners, which keeps the scope of healthcare expanding by the day. “In the past, as it relates to the care process, healthcare practitioners were primarily nurses, pharmacists and doctors. Now the term healthcare practitioner encompasses a wide range of other people including other professionals. “Not only has the number of medical subspecialties significantly increased over the last century (from 14 in 1927 to 103 in 2000), but the number of non-medical care practitioners has also increased. Patients too have to a certain extent become ‘practitioners’ in their own healthcare. “Moreover, not only do current practitioners role need to be specified relative to the new care processes and operating systems, but entirely new roles – perhaps system architecture for example , need to be developed and reimbursed,” he stated. The PSN President also noted that collaboration among healthcare practitioners would promote patient-centred care, enhancement of better communication, comprehensive patient care, better coordination of patient treatment plans, and it empowers team members. A major high point of the annual scientific conference and exposition was the decoration of Pharm. Yakasai with the NAPPSA Distinguished Service Award, at Embassy Suites-Concord Hotel, Concord, North Carolina, USA. He was recognised for his advocacy and tenacity for Pharmacy Practice in Nigeria.